Most modern TVs can play images and videos from a USB stick. 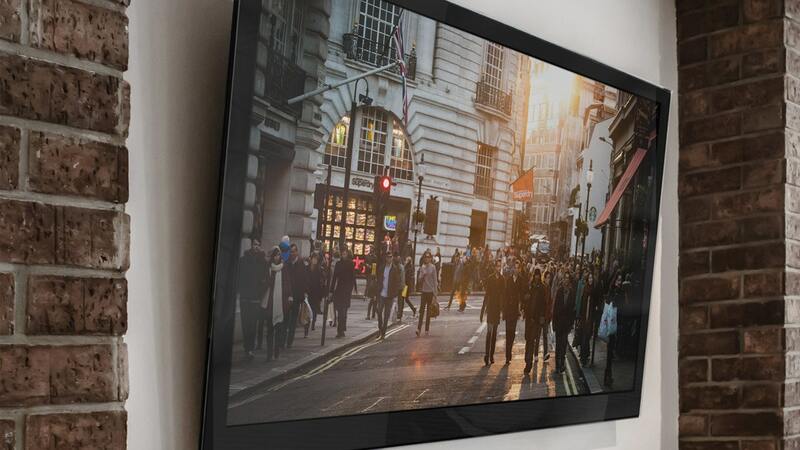 Combined with the ability to perform these in a series on repeat they create an easy way to display a slideshow on your TV. When updating your slideshow, the drive will need to be removed from the TV, plugged into your computer and managed manually. No cloud access is available with this setup. What’s needed: USB thumb drive ($10) and a TV that with repeat slideshow functionality. 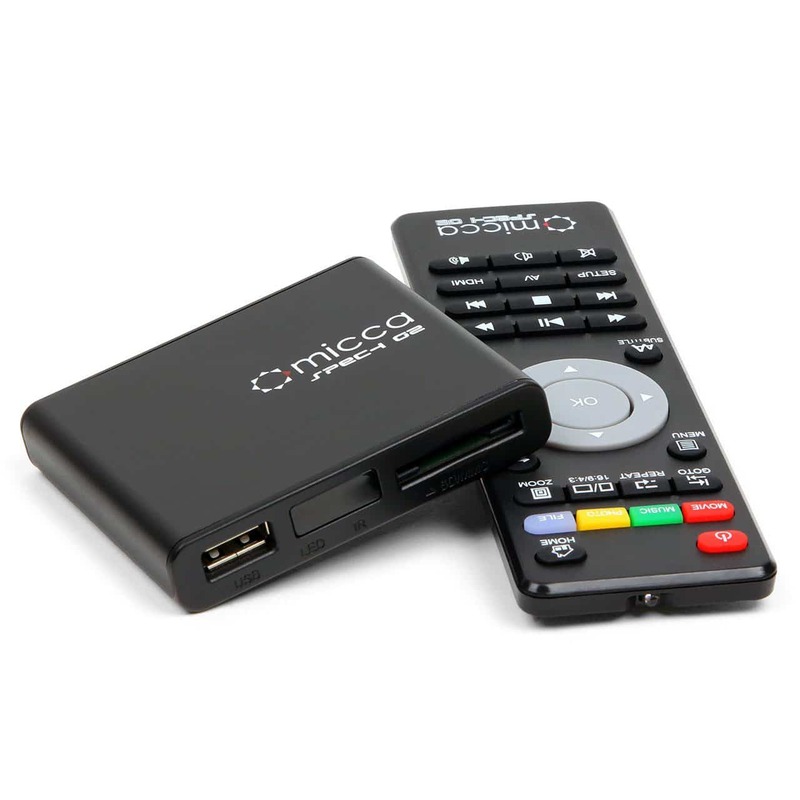 One step up from using the USB port on your TV is to use a portable digital media player such as the Micca Speck 1080p Full-HD Ultra Portable Digital Media Player. It is a useful media player that can play multiple images and video formats in full 1080p HD. The player comes with a remote control and connects to your TV via HDMI cable. This device includes some noteworthy features such as an SD/SDHC memory card reader, USB port, automatic restart after a power failure, aluminum case exterior and high bit-rate playback. 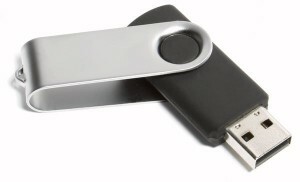 Just like the first USB thumb drive option, you will need to remove your drive from this device, plug it into your computer and manage your media locally. What’s needed: Micca Speck Ultra Portable Digital Media Player ($40), USB thumb drive ($10) and a TV with an available HDMI port. If you want to manage your slideshow remotely and not have to physically remove USB drives from your TV, you will need a system that pulls images from the cloud. 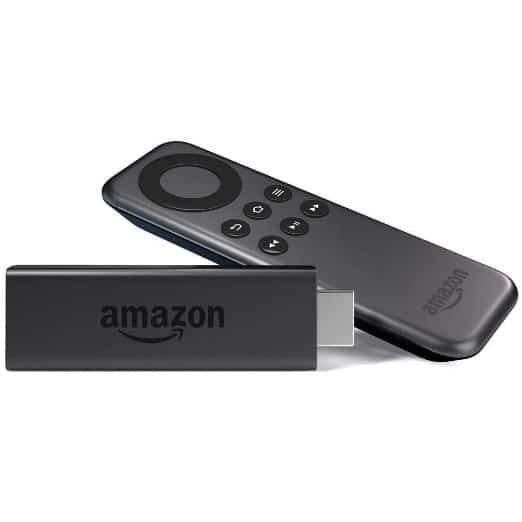 Amazon Fire TV Stick is a popular choice because it is a cloud-based media device, it’s a familiar product to many users, it’s affordable and is simple to set up. The easiest way to create a looping slideshow using an Amazon TV Fire Stick is with the $2.99 app “FlickFolio.” This app pulls the images (slides) that you’ve uploaded to your Flickr account. One neat feature with this solution is that anyone with access to your Flickr account can upload photos and images into the slideshow album. What’s needed: Amazon Fire TV Stick ($39), FlickFolio app ($2.99), Flickr account (free) and a TV with an available HDMI port. Luke Irvine from Hillsong Church shared this one of a kind digital slideshows setup with me. He installed Rikomagic MK802 Android Mini PCs in his lobbies and connected them to his wifi network. For media playback he uses an application called “PhotosAlive! Digital Frame” which can automatically download pictures from a Dropbox account and display them fullscreen as a slideshow. You can adjust the slide transition time and also install an auto startup app (AutoStart – No Root) so that when the TV is on, the Photos Alive app starts automatically. One feature he particularly likes is how the device plugs directly into your HDMI port resulting in only one power cable and no bulky HDMI cords to manage. What’s needed: Rikomagic MK802 or equivalent ($60), PhotosAlive! Digital Frame ($1.49), DropBox account (free) and a TV with an available HDMI port. 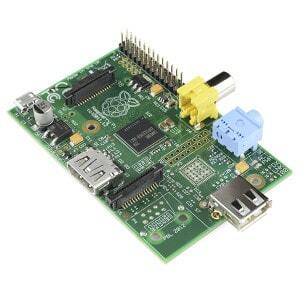 One last option that is gaining popularity is using Raspberry Pi and Rise Vision Player. Rasberry Pi is a microcomputer that DIYers love. It runs a Linux operating systems of your choosing, has multiple ports and can run web applications. Typically users install Rise Vision Player on their device and use free presentation services that Rise Vision provides to its users. What’s needed: Raspberry Pi ($45), Rise Vision Player (free) and a TV with an available HDMI port. Looking for high-quality free still backgrounds? CMG has thousands of images to download. We hope you love the products we recommend! CMG may collect a small share of sales from the links on this page. Good ideas… I am leaning towards #1 for a project I am about to do at our church. What about if we want to expand these options later to run live video from the service? Would it better to go with one of the streaming options than the USB flash drive? For streaming it would be a different setup. None of these options would work. Would a Apple TV not be able to make a quicktime movie? Make a QuickTime file? Now, Apple TVs can’t make anything. Is there a tutorial that you found from Luke Irvine on how to do that Rikomagic setup? Thanks for the info. I looked at these options, but then learned that Chromecast ($35) will do a looping slideshow, in conjunction with Google Photos (free) and the Chromecast app (free). The app lets you control its “backdrop” settings, which lets you turn off other photo sources and specify your own album to be displayed. One limitation I’ve found is there doesn’t seem to be any speed setting between about 20 seconds and 2 minutes per photo. Also, the photo order appears to be random. However, it’s much better than my TV’s built-in slideshow. Hey, great post! Just wondering … We have 6 TV’s in our lobby all connected via coax cable … So, the quality is terrible. We run a slideshow from ProPresenter to the screens using a VGA to coax converter. 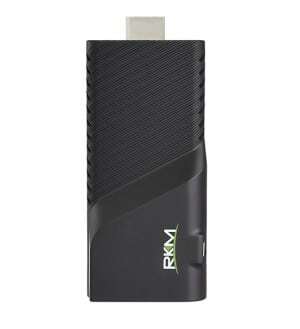 If i had to buy 6 x Rikomagic MK802 mini PC’s and plug one into each TV, could I “sync” them to all the play a slideshow wirelessly using the Dropbox option? Which of the options would be best for looped video playback please? do any of these offer an option to attach music or video into your slideshow? Nice! I was actually at Hillsong’s Hills campus and saw these devices and wondered how they managed the media. Thanks a ton for the post! Follow-up question: any tips on scheduling playback on devices like this? 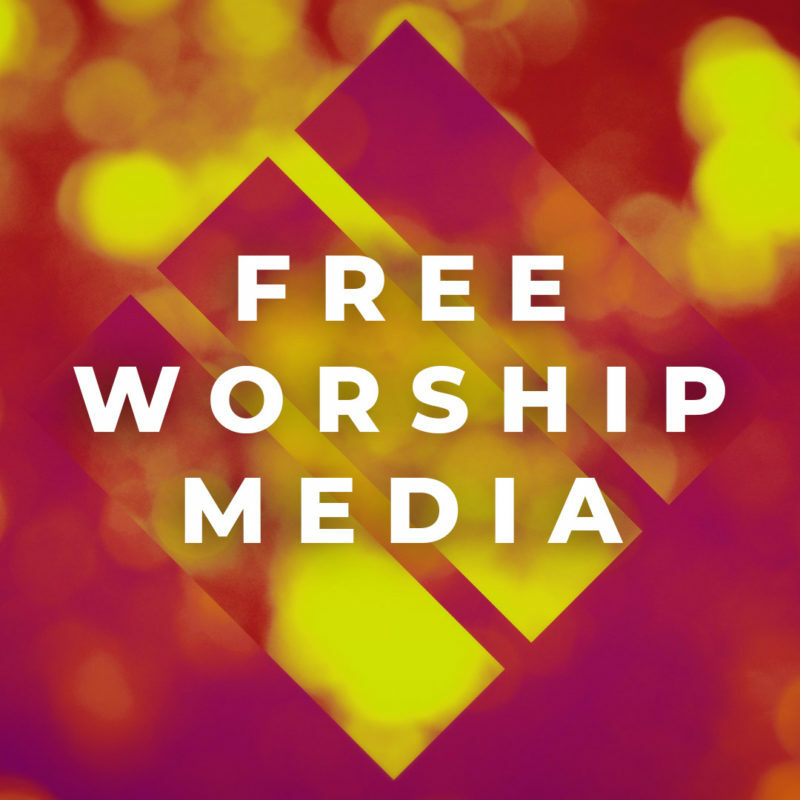 I would love to have a pre-service video, a countdown that kicks in automatically, and a post-service video all scheduled to run every Sunday. I’d love to manage that remotely rather than needing somebody to run things like that manually every week! I did the firestick for my church but it keeps going into sleep mode even though I’ve set it not to enter sleep mode, anyone know of a solution? I needed to present a bunch of historical pictures a few days ago. In the day of the presentation I realized that I din’t have any cheap solution available. Suddenly I remembered that Adobe Bridge have this capability. You open it, navigate to the folder where your picture is, go to VIEW menu in the menu bar of Bridge, scroll to SLIDESHOW and let it go. Voila. To set the time from picture to picture, scroll to SLIDESHOW OPTIONS and make the desired adjustment.